Josseline Campos Díaz is the Country Co-ordinator at Biz Latin Hub’s (BLH) office in Costa Rica. Having recently joined BLH three months ago, she is passionate about her work in providing a specialist and tailored service to support start-ups and companies in the challenges of doing business in Costa Rica. Josseline has an unparalleled determination and devotion to her clients in a country that is very close to her heart. Josseline has an unparalleled devotion to her clients in Costa Rica. Growing up with her grandparents in Guanacaste, the northwestern coastal region and a hotspot for tourism in Costa Rica, Josseline has a love for adventure and nature as well as first-hand knowledge of the ever-increasing tourism industry in the “green” country that Costa Rica is. Every year for 20 years, Josseline goes away for one week with her family on a camping trip where there is no electricity and light – a trip she thoroughly enjoys. 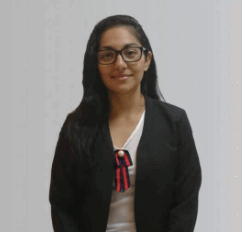 With regards to Josseline’s education, in 2010, she started studying Economics at the University of Costa Rica (UCR) and subsequently went on to study Law in 2013. In 2016, she began a postgraduate course in Notary Law at the International University of the Americas (UIA). Whilst pursuing her career, Josseline worked at two different law firms. Her invaluable experience working at Law firms and her comprehensive knowledge of the Costa Rican business environment makes her the perfect country coordinator for the Costa Rican office. Whilst there are many new and exciting business opportunities in Costa Rica, there is one sector, in particular, that has caught Josseline’s attention; the technology industry and the production of electrical components. Continually striving to expand her knowledge of the local business environment, she has decided to study computer science, starting in January 2019, alongside her legal work. Aside from work, Josseline enjoys reading, namely fictional and scientific books, and aims to become trilingual – already speaking both Spanish and English, she has decided to start learning German. As well as being an avid learner, Josseline loves to play sport and is a football enthusiast, playing with her friends from Law School as a team. If you would like to get in touch with Josseline in Costa Rica, feel free to send her an email with your enquiry at [email protected].